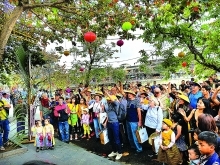 The National Tourism Year 2019 will feature a range of activities with the main stage in Khanh Hoa province and other responding activities in 15 locales across the nation. The information was announced at the first meeting of the Steering Organizing Committee for the National Tourism Year 2019, held by the Ministry of Culture, Sports and Tourism in collaboration with the Khanh Hoa provincial People's Committee, in Hanoi on October 16. Accordingly, the National Tourism Year will be a typical socio-economic and cultural event on a national and international scale, contributing to raising public awareness on the development of tourism combined with sustainable development. In 2019, the National Tourism Year will be hosted by the central coastal province of Khanh Hoa. The official announcement of the event will be combined with the 2019 New Year celebration on December 31, 2018, in Khanh Hoa’s Nha Trang city. The opening ceremony for the 2019 National Tourism Year will take place in May 2019, in parallel with the curtain-raising of the local biennial Nha Trang - Khanh Hoa Sea Festival. 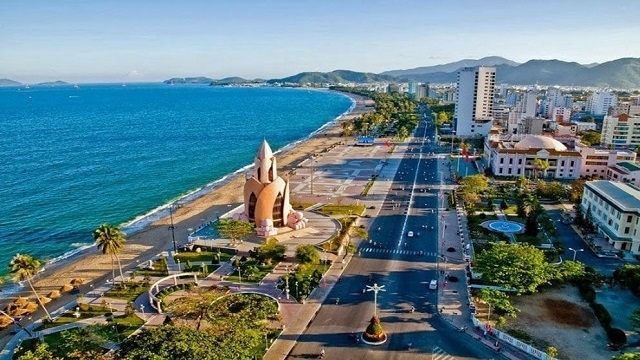 According to the organizers, the upcoming event will feature various special activities, of which, Khanh Hoa will host the key events, such as the announcement, the opening ceremony combined with the kick start of the 2019 Sea Festival, and the closing ceremony, as well as a maritime week, a conference on regional tourism development, a beer festival, a beauty pageant contest and a Hong Kong(China) - Nha Trang yacht race. Meanwhile, the responding activities will be carried out by 15 other cities and provinces, including Hanoi, Ho Chi Minh City, Quang Ninh, Hai Phong, Quang Binh, Quang Tri, Hue, Da Nang, Quang Nam, Quang Ngai, Binh Dinh, Phu Yen, Ninh Thuan, Binh Thuan, and Ba Ria - Vung Tau. Praising the development of Khanh Hoa tourism in recent years, Minister of Culture, Sports and Tourism, Nguyen Ngoc Thien, urged the province and the Vietnam National Administration of Tourism to conduct further studies to make a highly attractive slogan for the event, thus creating its own trademark to promote the status of not only Khanh Hoa but also the national tourism brand. He noted that the National Tourism Year should lure more tourists to Khanh Hoa, asking the organizers and relevant agencies to fulfill the task of promoting the tourism brand of Vietnam and Khanh Hoa to a new level. At the working session, Secretary of Khanh Hoa provincial Party Committee, Le Thanh Quang, said that his province has spent adequate resources and mobilised other social funding for tourism infrastructure development. He also affirmed that Khanh Hoa will continue to complete the planned activities and programs for the 2019 National Tourism Year in a practical manner, with integration into travel links, heritage value promotion and cultural and culinary honor.